Whether you are just starting to do some competitive marketing research for your new startup or looking for ways to get an edge over your competitors, doing a competitive marketing analysis is an essential part of growing a company. Competitor research isn’t sneaky or unethical—it is simply using publicly accessible data to make informed decisions about your own business and how you can improve it. A smart competitive marketing analysis comes from a growth mindset that embraces improvement and sometimes even change. Instead of approaching your competitive research from a “beating the competition” mindset, think of it as a way to enhance the customer experience, to determine where your company fits among the many possible offerings, and to enhance what’s working for customers already. In this post, I’m going to share with you my favorite free marketing tools to do competitive marketing analysis and research that will give you insights into your competitor’s popularity, technology, and marketing strategies. For this post, I will be doing research on companies in the online training sector to show you how to use the tools and gain valuable insights that can be applied to your business. 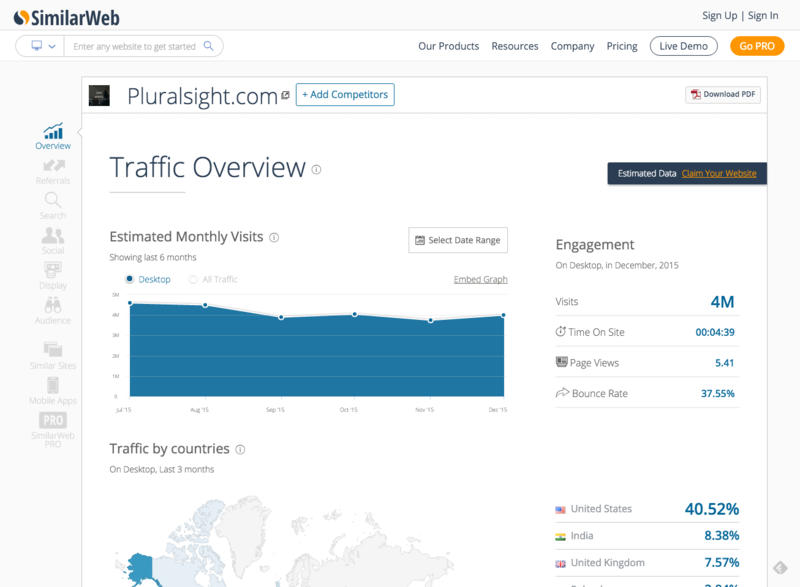 SimilarWeb is one of the best free tools you can use for competitor research as it will give you a lot of great information about your competitor’s traffic (and thus, their overall marketing strategy), again for free. Best of all, it will give you traffic analysis of your competitor’s websites and mobile apps. Start by entering your competitor’s domain into the website search. The analysis starts with basic traffic information for the previous month based on desktop visitors to your competitor’s website. In this portion of the report, it’s important to note the number of visits, time on site, page views, bounce rate (percentage of people who leave the website after visiting only one page), and the top countries visits are from. The next portion of the report focuses on traffic sources. It starts with a summary of traffic channels from which the website receives traffic, followed by the top referring sites (sites linking to your competitor’s website) and top destinations sites (sites your competitor’s visitors click to when leaving your competitor’s website). Following referrals and keyword insights (I will show you a better tool for keywords later in the post), you will see the top social networks referring traffic to your competitor’s website. Without knowing every little detail about this competitor, you will have to make some educated inferences about each statistic. In this case, with a bit more research away from this tool (hint: navigating to their social channels), you would verify just how active (or inactive) their top referring channels are against other competitors in the same space. As for the other social networks shown in the SimilarWeb report – Reddit, Stack Overflow, and YouTube – you will need to do some more research away from this tool. You can start by searching for your competitors by name on each of the networks to see what type of content is driving them traffic, such as this search on Reddit. 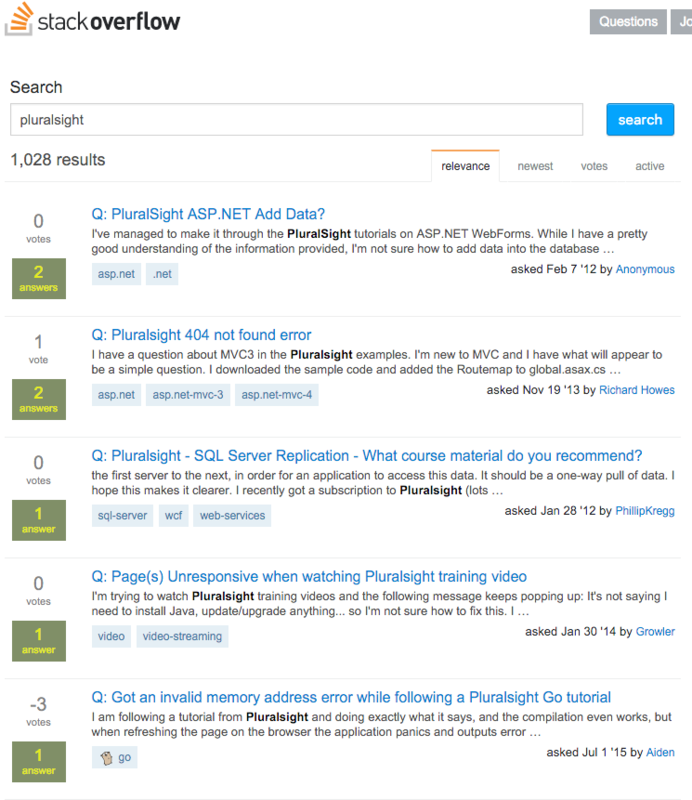 This search on Stack Overflow. And this search on YouTube. 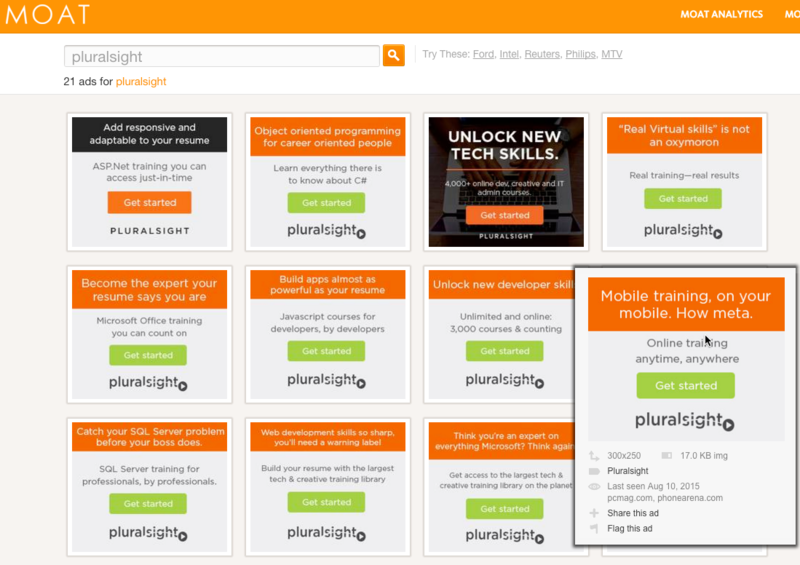 The goal on networks like these is to see if the competitor themselves are creating content (such as the 616 videos by the Pluralsight channel on YouTube) or are others talking about them (like the discussions on Reddit and questions on Stack Overflow). 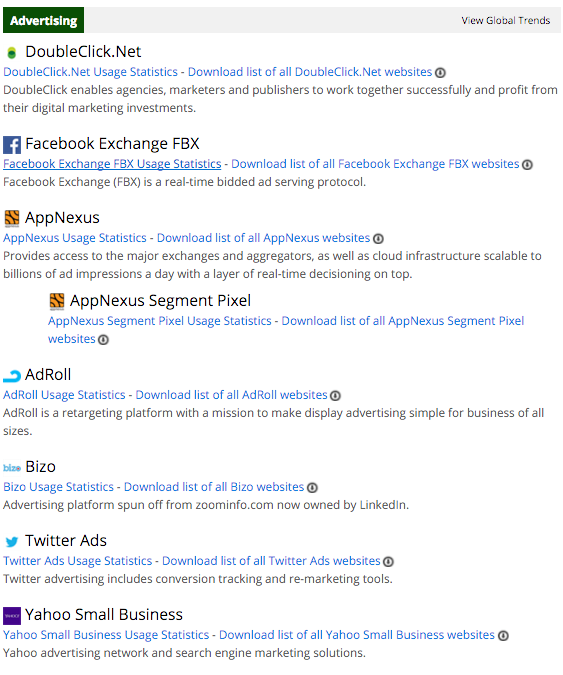 From there, you can see the top ad networks your competitor’s use. And finally, you will see whether your competitor has apps on the Google Play or Apple App Store networks. Clicking through to these will give you basic insights into the overall rating and number of votes your competitor’s apps have received in each store. They get a lot of traffic from the U.S. Most of their traffic is from referring sites and search. Since a good portion of their traffic comes from search, I will want to research the keywords they are ranking for and how they construct their on-page seo. I’ll want to find out more about the referring sites and how a potential digital business development and partnership strategy works. Their top referrers tell me that they have an affiliate program through Shareasale.com and that they have acquired Digitaltutors.com. Social strategy seems to be working on Facebook and Twitter based on basic assumptions (It’s up to your analytical rigor to determine how defensible your assumptions hold up). 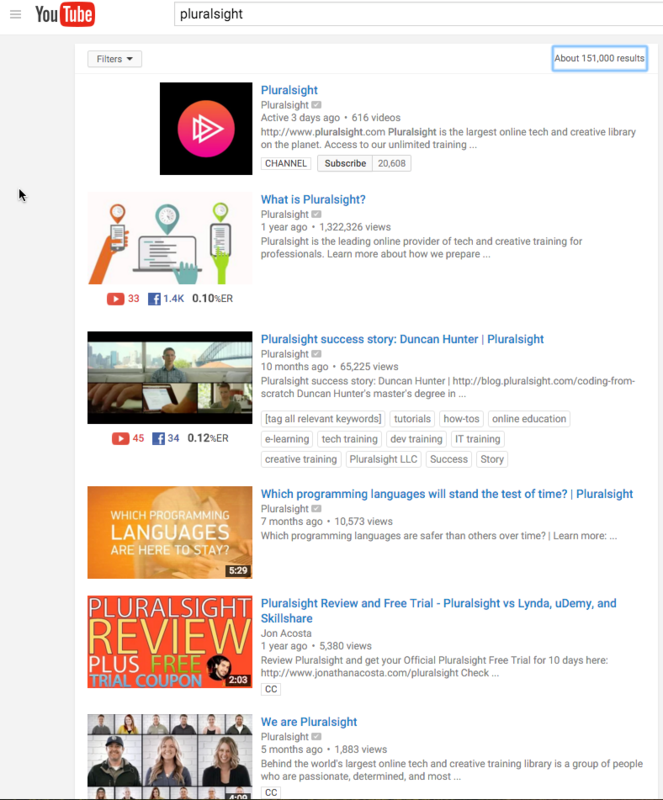 Video marketing on YouTube, again, seems to be working. At the time of this writing, they have 616 videos in their library, which would make sense considering their business model. 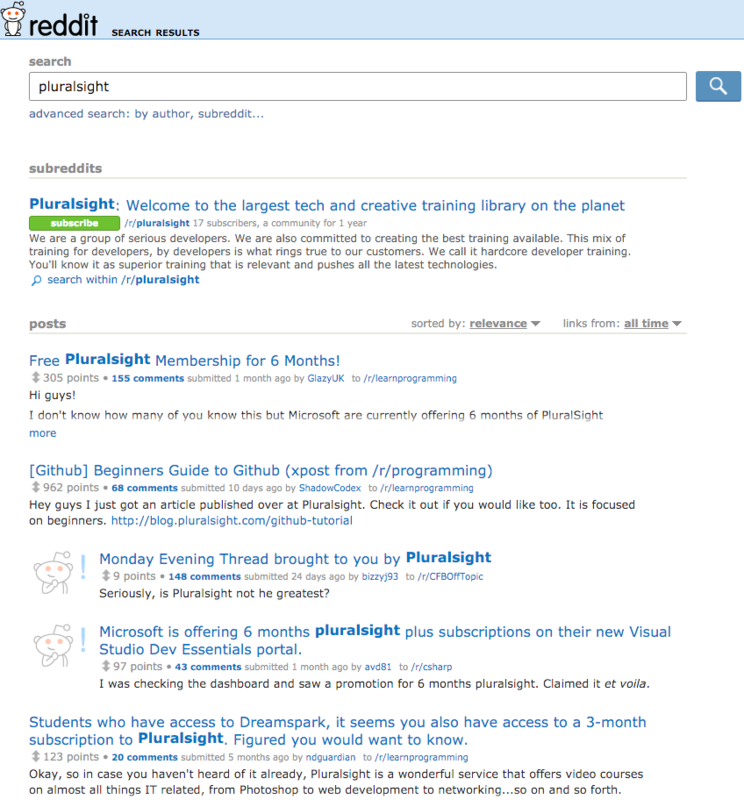 Audiences on Reddit and Stack Overflow like content provided by the competitor. Android users are more likely to download my competitor’s app than iOS users. While it might be tempting to work solely off of this information, it’s important to run the same analysis on more than one of your competitors. 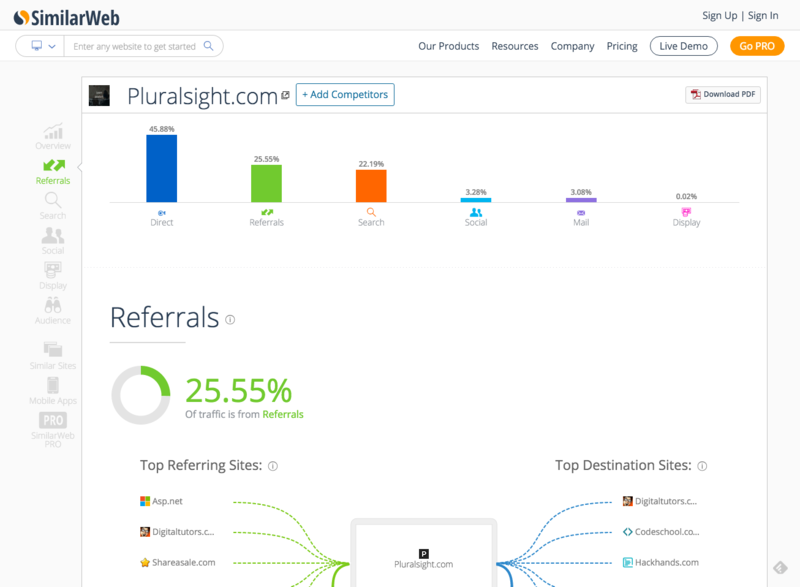 Adding in data from a second competitor, Treehouse, confirms strategies such as affiliate programs through Shareasale, the top five social networks for social referral traffic, Google Display Network as a strong advertising platform, and Android app popularity over iOS. It’s probably more than obvious, but the more competitors you add, the more you will learn and the more solid your data will be. Overall, the process of performing a competitive marketing analysis using a tool like SimilarWeb or other free tools that I’m about to show you, is all about researching and analyzing the data from multiple inputs to discover something unique or informative so that you can learn more about the best practices from the best competitors in your space. I love this tool and it’s one of my favorites. 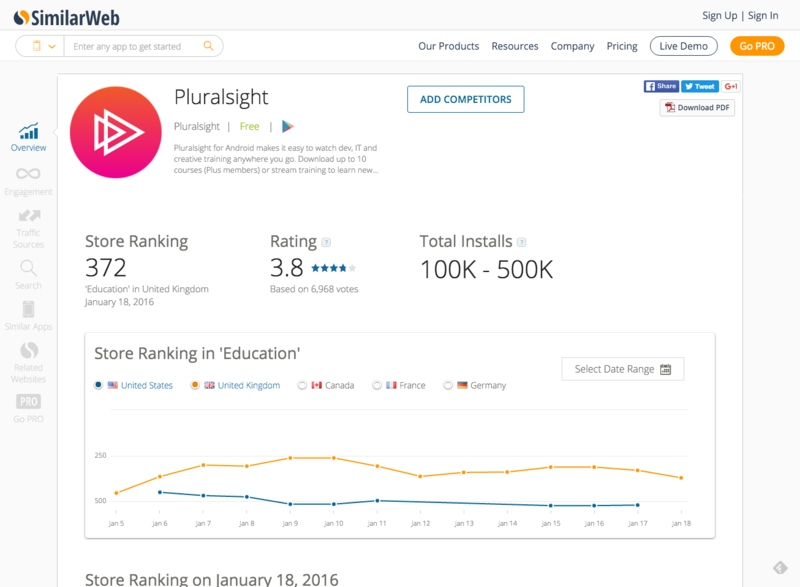 If you want to learn the difference between the Free version and their Pro version, SimilarWeb has a nice overview of their YouTube channel. 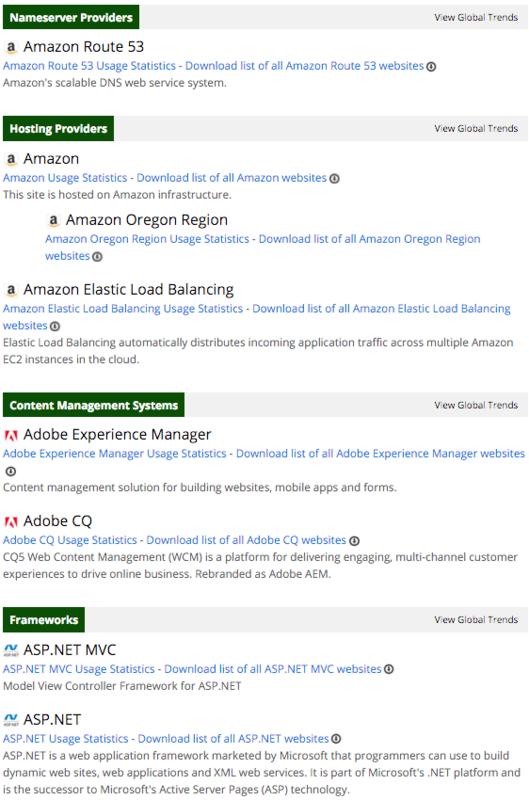 Ok, the next tool on the list is built to gain a better understanding of your competitor’s technology. 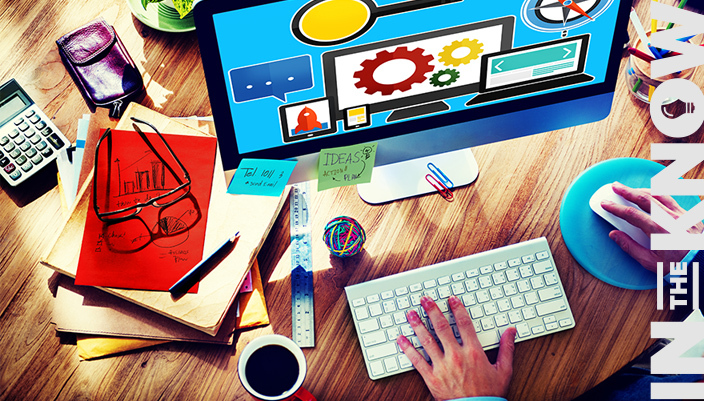 For example, what technology does your competitor use to power their website and marketing strategies? A free tool to help you do competitor analysis in this department is BuiltWith. 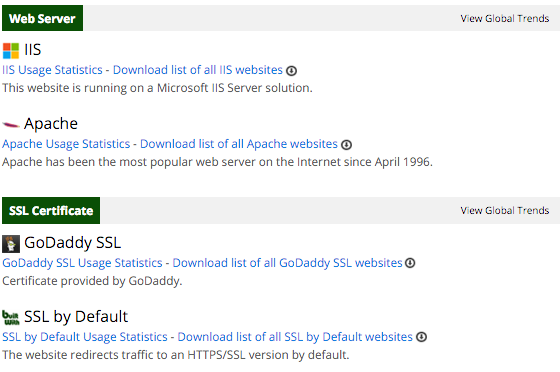 Simply enter the domain of your competitor to get a wealth of data, starting with web servers and SSL certificates. 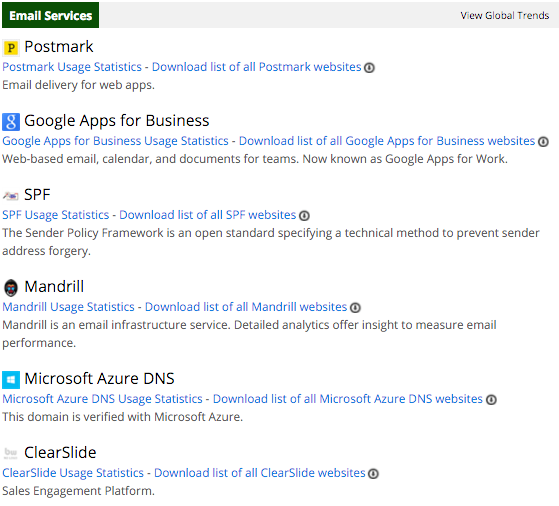 Nameservers, hosting providers, content management systems, and frameworks. And additional technical details about the website’s encoding. 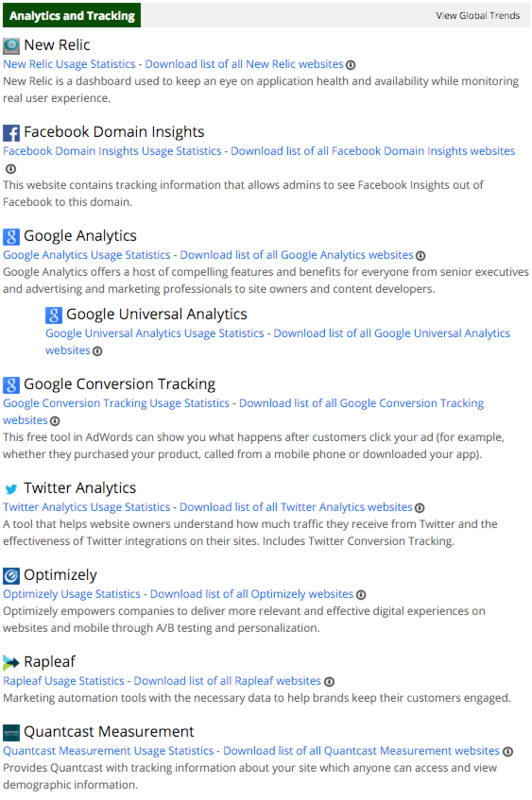 Advertising networks: Google, Facebook, Twitter, AdRoll, Yahoo, etc. Once you’ve analyzed several competitors, you will have a good sense of the types of services they use to manage their business and how you can improve upon yours. While you may not need the same enterprise level services for your business, you will likely be able to find a lot of scalable alternatives for web hosting, analytics, advertising, email, and so on. 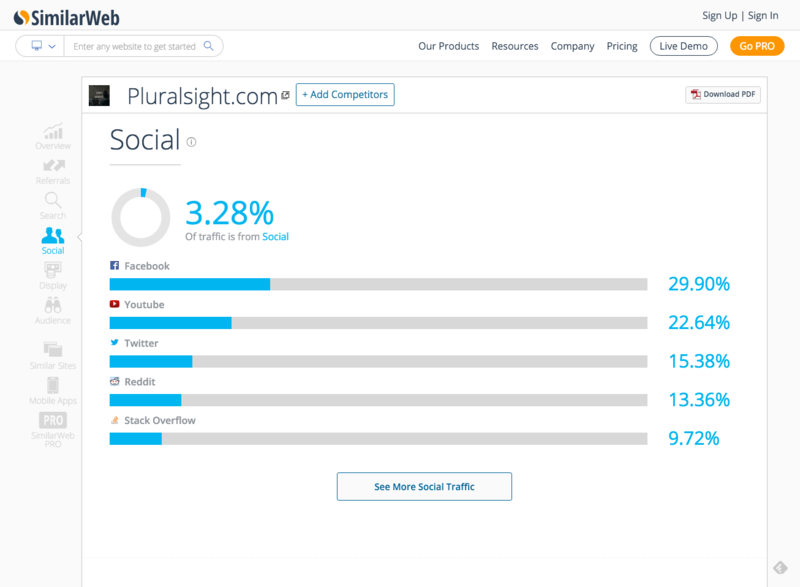 Want to learn about your competitors on social media? Of course you do! 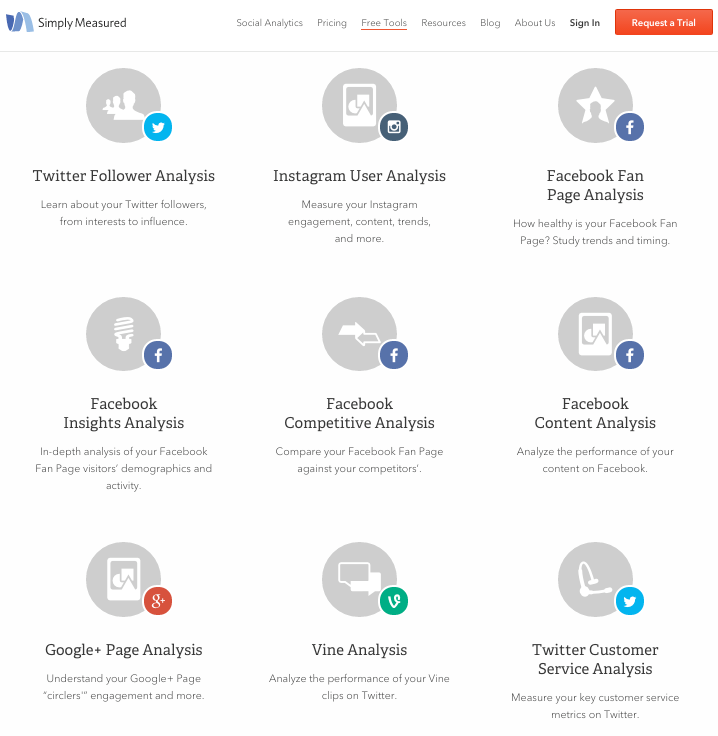 Through the use of free reports, Simply Measured offers some insightful competitive marketing analysis that will help you dive into your competitors’ strategies on the top social networks. In the data from SimilarWeb, we found that our competitors were getting social referral traffic from Twitter and Facebook. 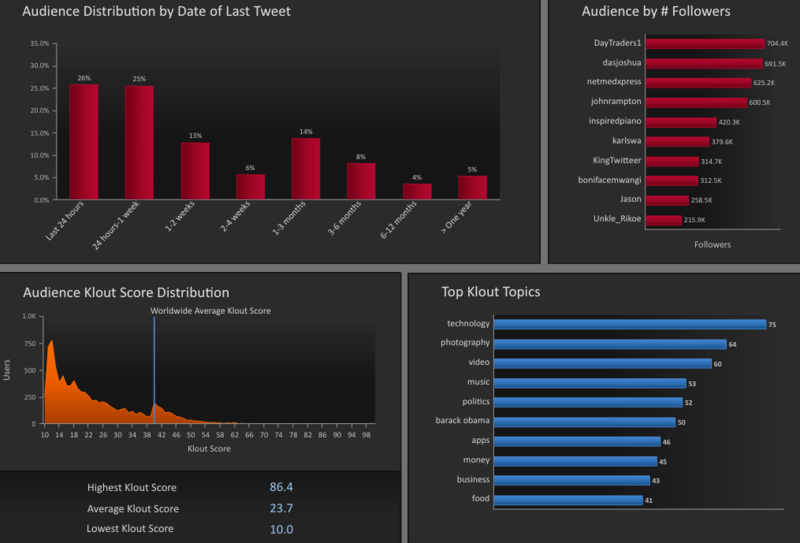 Accordingly, we would want to focus on analyzing those networks for our competitors using these reports. To use them, you will need to find your competitors on Twitter and Facebook, plug in their usernames or URLS into the reports, and pretty much follow the instructions. 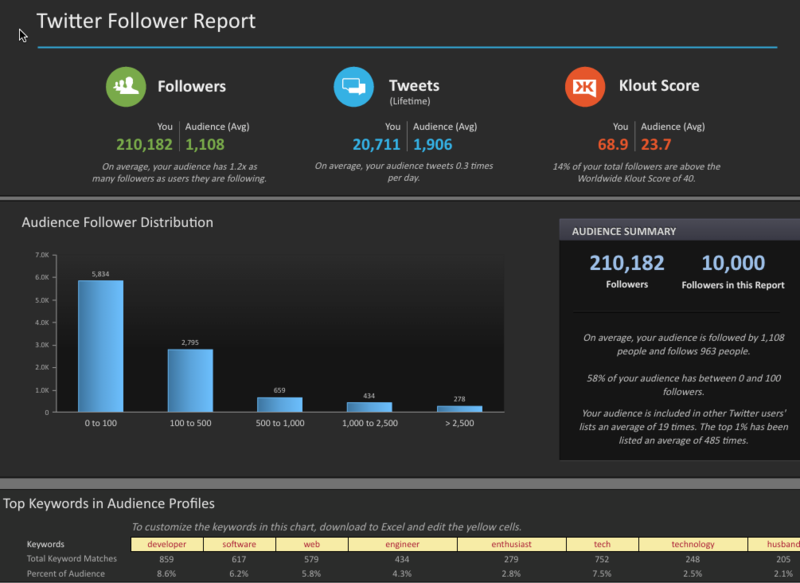 The Twitter Follower Analysis report will offer details such as your competitor’s number of Twitter followers, tweets, and Klout (influence) score followed by additional analysis of their Twitter audience. 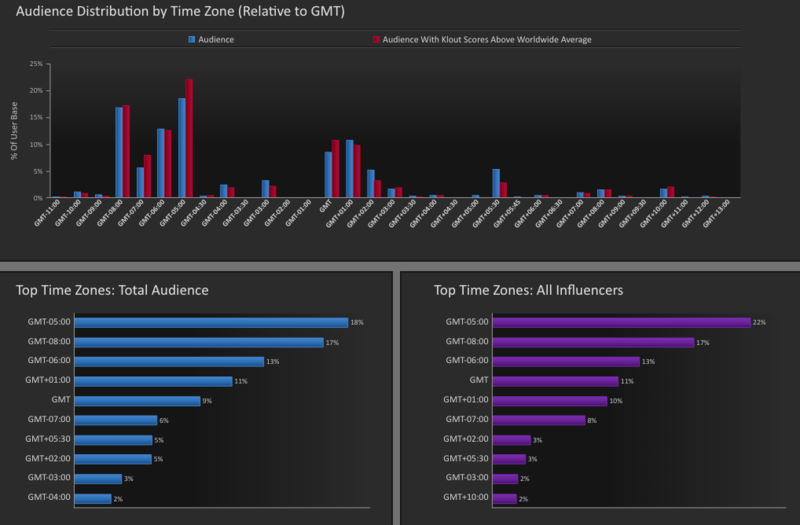 Then you will see additional details about the interests and influencers in your competitor’s Twitter audience. 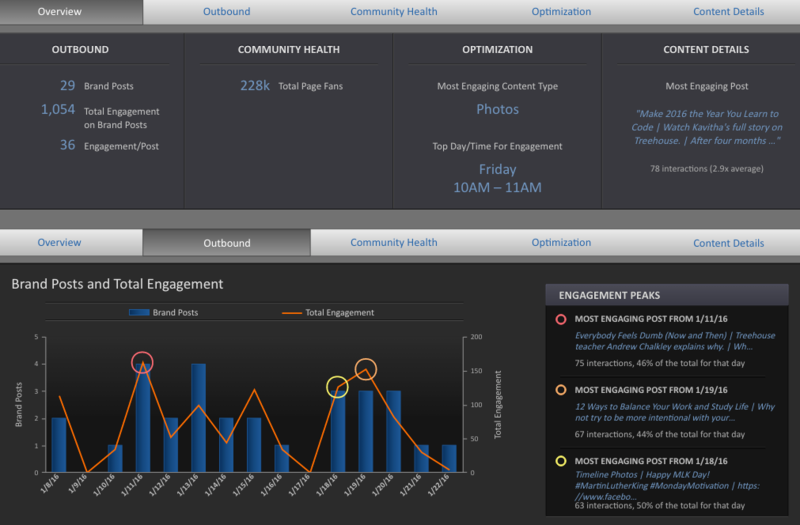 You will also get data into when your competitor’s audience is most likely to be on Twitter. Targeted keywords include: developer, software, web, engineer, and technology. Topics to tweet about include: technology, photography, video, music, apps, money, business, and food. Best times to be active on Twitter are from GMT -05:00 to GMT -08:00. 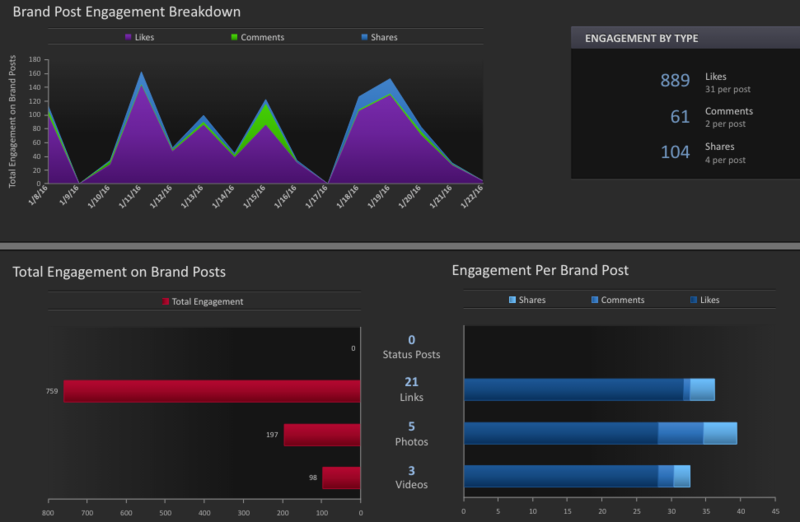 The Facebook Fan Page Analysis report offers similar data in relation to your competitor’s Facebook strategy, starting with their community size and posting summary. All great information and all for FREE. This is followed by details on brand post engagement. Stats like Likes, Comments and Shares are insightful and the more you dig, the more you’ll find out about the audience and their preferences. 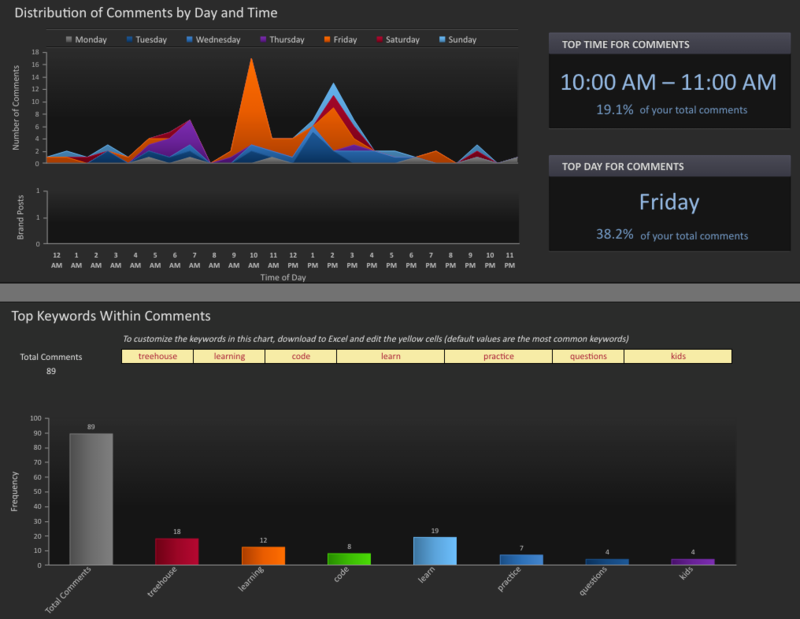 Want to know how fans interact with the page through the user posts? Well, aren’t we lucky, we get that data too! Next, let’s find out the best time to post for engagement and the keywords mentioned in comments by fans. 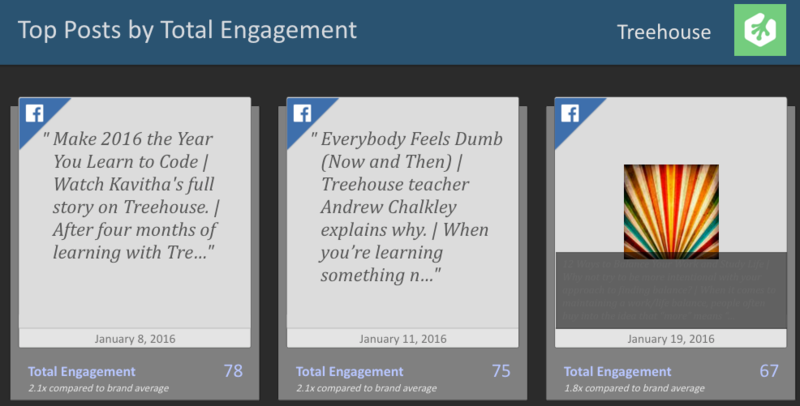 This tool rounds out with a sampling of the top posts by your competitor’s page. 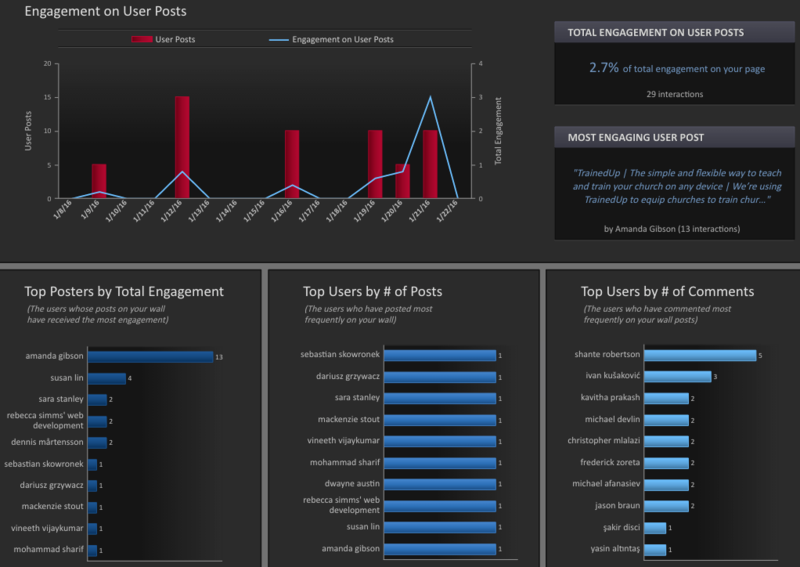 From this report, you can glean similar insights as derived from the Twitter data. Topics to post about include learning to code and questions about coding. Best times to be active on Facebook are between 10:00 AM – 11:00 AM on Friday. Are your competitors blogging? If so, then you will want to peak under the hood of their content marketing strategy. Maya is a free tool you can use to gain some basic and yet useful insights into your competitor’s blogging strategy. 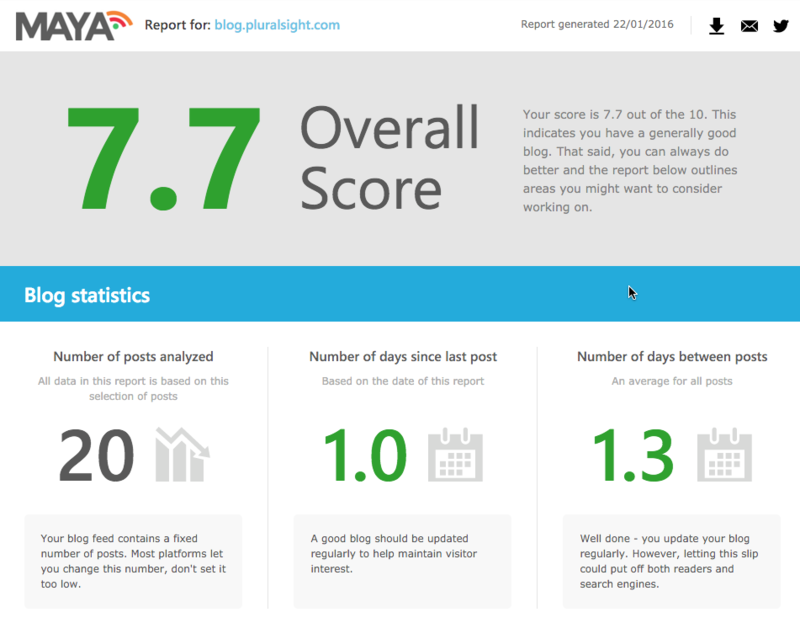 Their free report starts with an overall score for your competitor’s blog, followed by blogging frequency. Next, you get a feeling for your competitor’s blogging style. Followed by average social engagement. 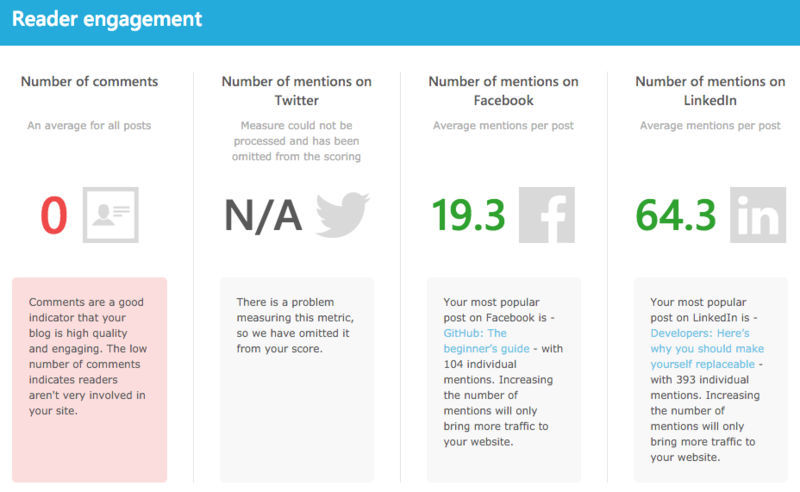 Note that since Twitter has restricted their API, some tools are not able to get Twitter engagement counts correct. The report is capped off with some SEO information about your competitor’s content. Your competitor publishes 2 – 3 blog posts weekly. 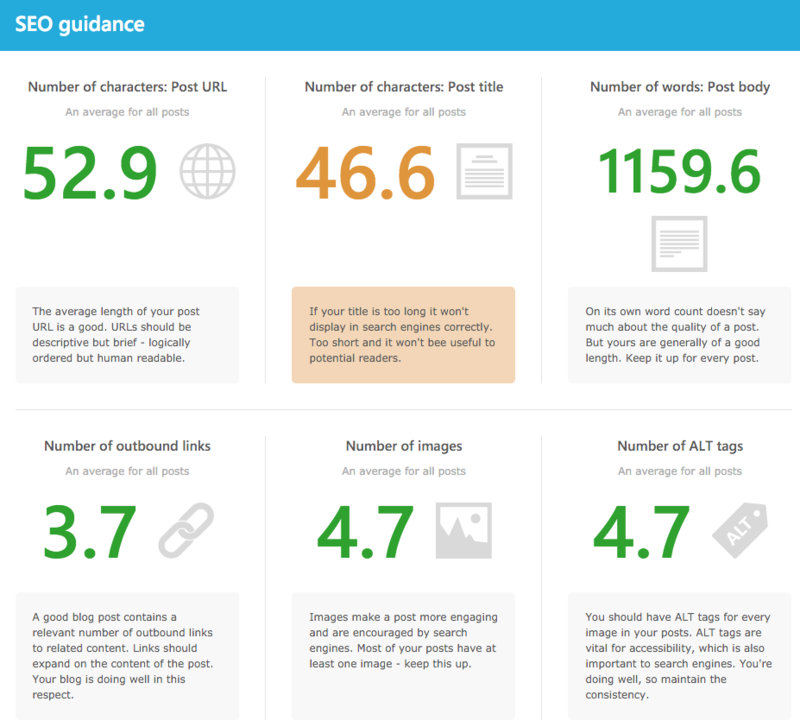 Each blog post is an average of 1,000+ words with images and outbound links. The average social sharing counts are low. As always, you will want to do similar research for additional competitors to see if their blogging strategies vary. This report may show you that competitors who post longer posts less frequently get more social shares, indicating a better strategy to implement for your own business. Feedly is a free tool that offers a simple feature to pinpoint your competitor’s top content based on social media engagement. Start by creating a free account and searching for your competitor on Feedly. Click on your competitor’s blog and you will see their latest posts. Beneath your competitor’s blog name, you will see the number of subscribers who also use Feedly and the tags / keywords they use when saving your competitor’s posts, followed by your competitor’s latest posts. 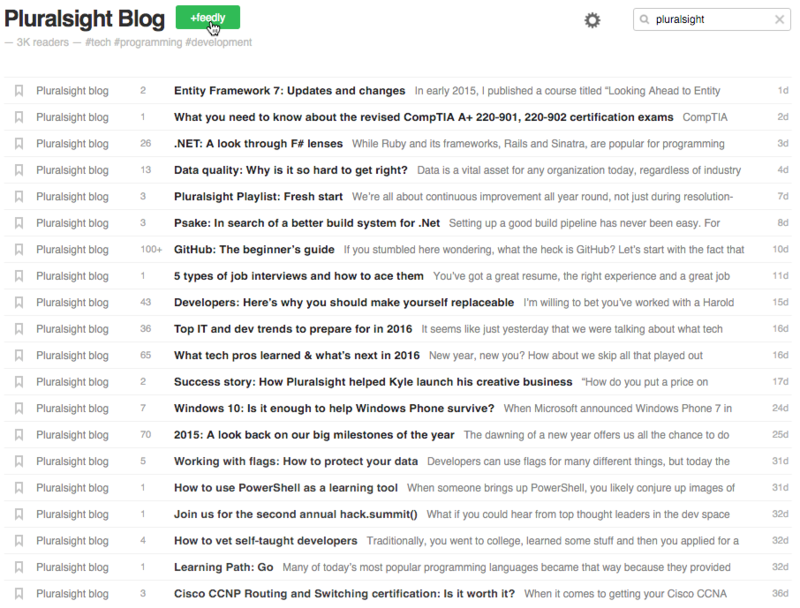 Subscribe to your competitor’s blog with the +Feedly button. Mark all of the posts as read using the checkmark at the top, then click on the blog in the left sidebar. Make sure that the “Unread Only” box under the settings wheel icon is unchecked. 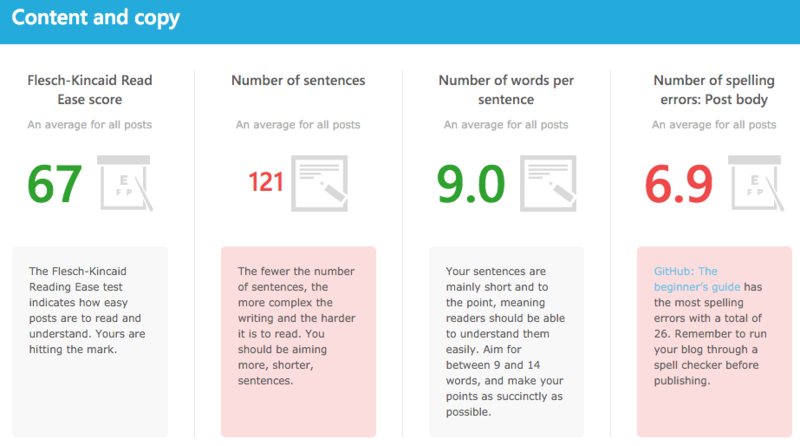 This will allow you to scroll through all of your competitors’ blog posts. As you scroll through the list, look for the posts with the largest numbers by the title. These numbers indicate the post’s social popularity and it will allow you to assess your competitor’s most popular content. 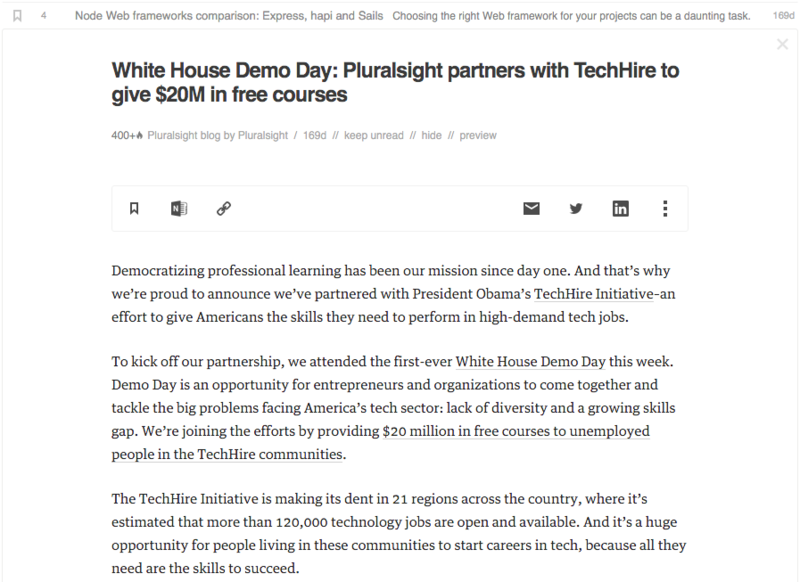 Depending on how the competitor’s RSS feed is set up, you should be able to preview the post in Feedly or click through to it on your competitor’s blog. Add several of your competitor’s blogs to get an overall view of what content is popular, along with how many subscribers they have on Feedly and what tags / keywords subscribers use most to save their articles. 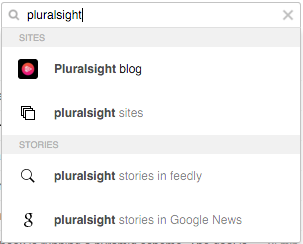 As an added bonus, you can use Feedly to continue to monitor your competitor’s hot blog topics to inspire some for your own organization. On-site search engine optimization is important if you want your company’s website to rank well in search engines. Moz offers a free toolbar that allows you to analyze your competitor’s on-site SEO strategy so you can determine which keywords they target. 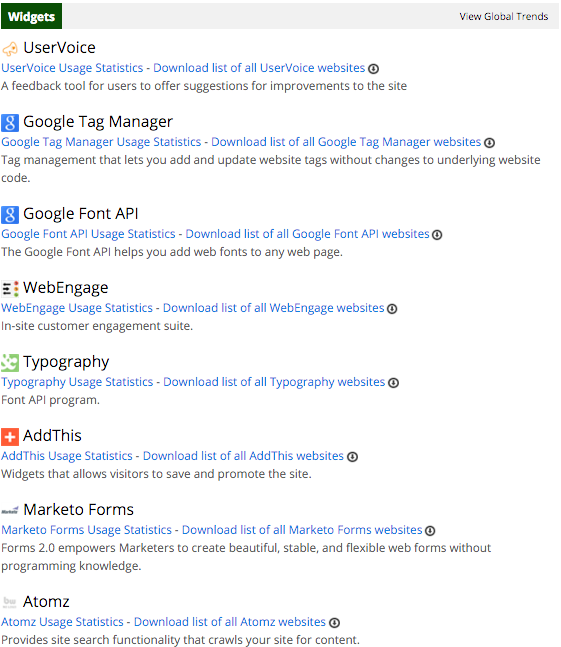 Install the toolbar on your browser, and then visit your competitor’s website where you will see the following data. Here, you will see the SEO settings for your competitor’s page. Typically, they will have their most important keywords in the page title, meta description, and meta keywords. Of course, on-site SEO is not everything. On the Link Metrics tab, you will see the number of incoming links your competitor has for their website (external followed links). The above shows that their website as a whole has over 1 million incoming links from over 4,000 domains. 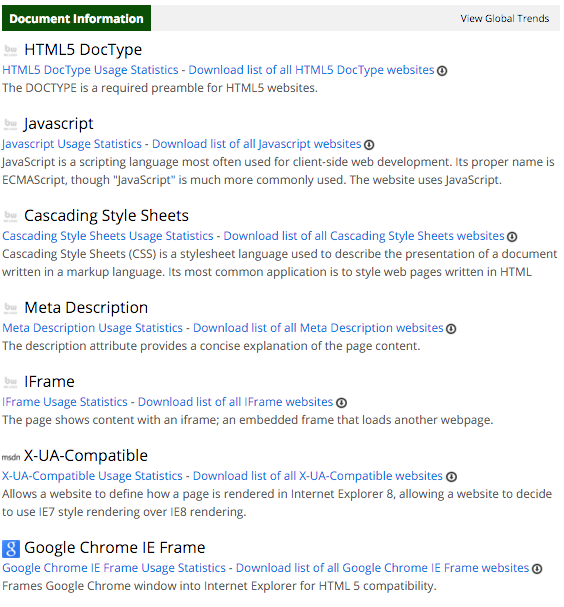 Using this tool on several of your competitor’s websites should help you determine the best keywords to include in your own website’s SEO settings as well as give you an idea of how many links you will need to start slowly building to your website. 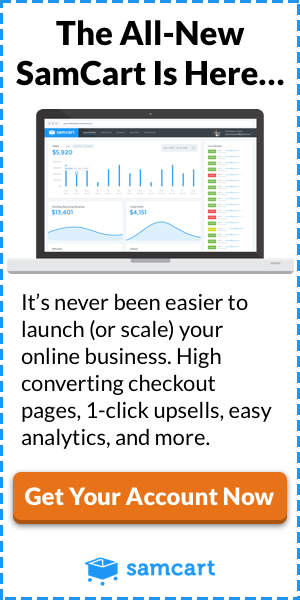 If your competitors are using display advertising to promote their business, then you will want to take a look at the ads they are using to attract visitors. For your design team, this visual data can yield tons of insight and can even kick start the creative juices on how you may want to counteract any competitor’s ad. 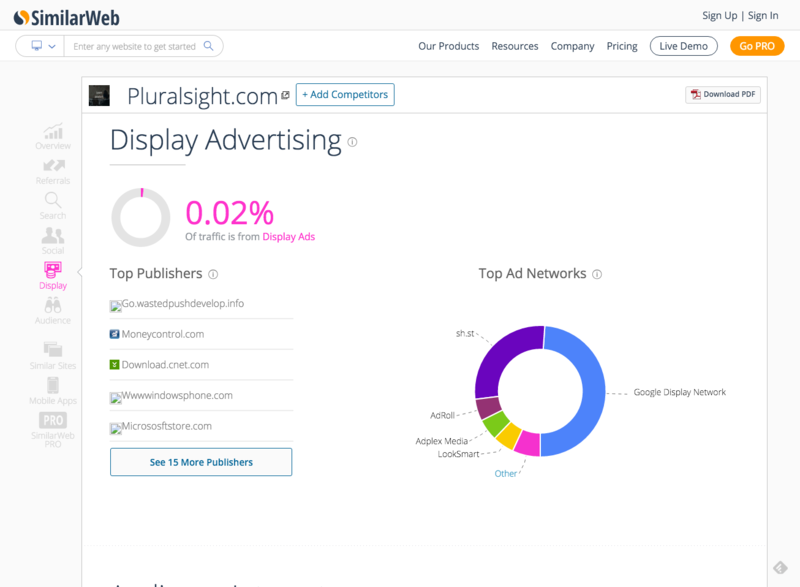 Moat is a free tool that allows you to see the display ads that your competitors are running on different publishers. Truly, this is near the top of my favorite free marketing tools available. Simply search for your competitor. Then browse through their latest ad designs. Hover over them to see additional details, like the image size and the publishers that display their ad. The insights you can gain from this tool can be extremely valuable in a variety of ways. You can see the taglines that your competitors use to describe their business and craft similar taglines for your ads, social profile bios, website meta descriptions, and other online properties. 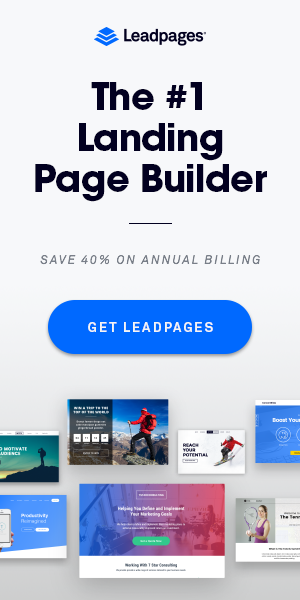 You can see the calls to action your competitor uses to get people to click through from their ads to their website and use them on your own ads and calls to action. You can see the places where your competitors know they will get traffic (like pcmag.com and phonearena.com) and approach them for ad placement, guest blog placement, and other opportunities. Even if you don’t plan to launch an advertising campaign of your own, still be sure to analyze your competitors’ ads for these insights. Instead of an in-depth “how-to” tutorial, this was just a quick and dirty post on some free marketing tools to jump-start your competitive marketing analysis. But as you can see, there are many free tools available to you to help you learn more about your competitors and gain insights that can help you when you are growing your business. Which one do you find the most valuable, or which one should other businesses check out that I may have missed? Please share in the comments! You have mentioned each and every important tool very nicely but I personally prefer SIMPLY MEASURED because it gives competitive marketing analysis to know about competitors strategy and even it includes every social media platform like facebook, twitter, linkedIn, Google+, Instagram etc. It covers everything and helps in every possible way to analysis about competitors work and give knowledge how we can grow or change the strategies for better our business growth. Nice listing and Great post.